If Tom Lehrer were to delve into the internet or Noel Coward were to wander into a folk club, the result would be a little like the songs of Terence Blacker. With subjects ranging from Twitter to upper-class twits, from discontented expats to the secrets of suburbia, Blacker is a twisted troubadour who brings to life the stories and characters of our world with a heartfelt comic twist. Well-known as an author and columnist, Blacker has played at festivals across the country, has presented a Radio 4 documentary series on politically incorrect music and once sang on The World At One. 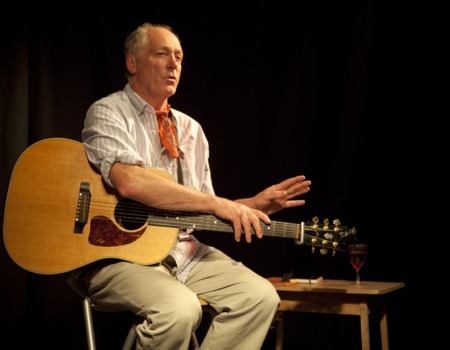 His one-man show My Village and Other Aliens was part of the 2013 Edinburgh Fringe.